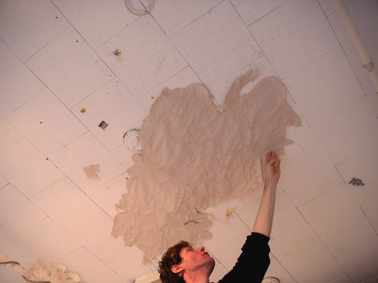 All the material was removed from the gallery space, starting with the paper fragments and the cut-out drawings. 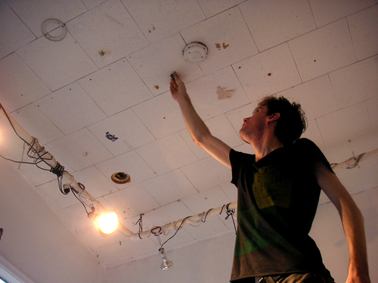 The pieces on the ceiling were removed first. 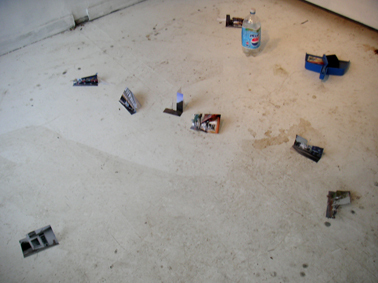 The images cut out of the local music magazines were thereafter removed in the same fashion. 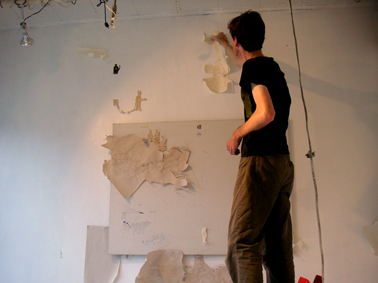 After this was completed the drawings done in collaboration with Cameron Kidd were removed from the walls. 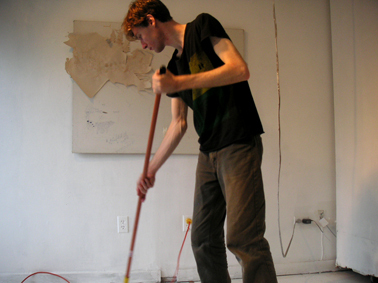 The leaves which had been used to create the pigmented water were placed in a bag, and they, along with the remaining leaves, were removed from the gallery and returned to the creek from which they were initially collected. 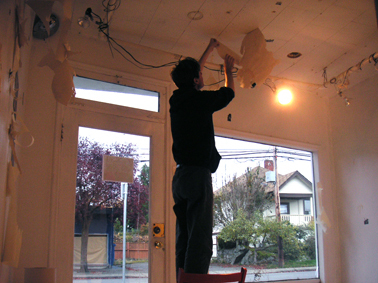 The branches which were placed outside of the gallery were removed. 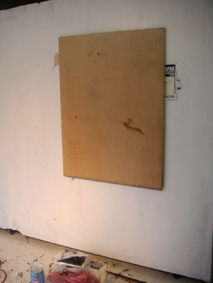 The canvases were removed from the walls, and instead placed leaning against them. 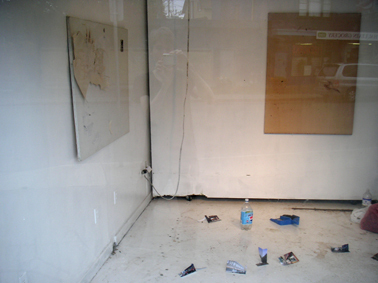 The photographs on the floor were removed. 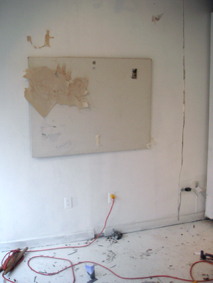 The canvases were removed from the gallery space.